The history of Yemen Airways goes back to the second 40s. From 1949 until 1977, Yemen Airways had experienced moderate developments and different kinds of structural reforms. In July 1978 Yemen Airways took a big step forward and new Company, Yemenia –(Yemen Airways) was formed with 51% share by Yemen government and 49% by Saudi Arabia government. The formation of Yemenia had reflected an ideal international investment that is lasting until now. We can say that 1978 is considered as a landmark in the Aviation history of Yemen. It had witnessed the beginning of a new era in air travel services and progress. By the end of 1979, Yemenia had taken delivery of 4 brand new B-727-200 and 2DHC-7 in 1980. During the period of 1980 to 1990s, and with a fleet of 4 B727, B-737 and 2 DHC-7, Yemenia had undergone many developments in all aspects of its activities. It had set up a big program for training its human resources in Operation, Maintenance, and finance. In the infrastructure side had expanded its maintenance capability and introduced automatic reservation system and electronic data processing. Its service had covered around 23 international destinations within 3 continents – Asia, Africa, and Europe and with good reputation in service and excellent safety records that it was awarded the Certificate of Membership for the years 1988/1989 form FSF (Flight Safety Foundation) Inc. Also it had become a member of IATA, AACO and ICAO. Except for the year 1982, its bottom line of income statement was always positive. Throughout the 90s many developments had happened in Yemen. One of the major in Yemen’s history was the unification of the two parts of the country; North & South into one State called Yemen Republic. As a consequence of this event, Yemenia had consolidated with DY, the former South Yemen Airways, in May 1996 and added to its fleet 2B-737-100 and 2DHC-7 airplanes. During the year 1998, a further development has taken place in the management side of Yemenia by assigning a new Chairman for Yemenia, Capt. Adbulkhalek S.Al-Kadi. An optimal public service in air transport could be provided by a public enterprise. Yemenia should keep the status of a state owned enterprise and the National Flag Carrier. Yemenia should satisfy the demand for air service competitively demand resulted from shift in market size after unification, from tourism development, business traffic expected from the oil and gas exploitation and Aden Free Zone. Yemenia should qualitatively expand its scope of domestic and international services that satisfy Yemeni national needs. More frequencies and international operation from more than five international airports. Yemenia’s new headquarter building had been designed with the state of art with the total investment of more than 4.0 Million US Dollars – 1999-2001. Upgraded Yemenia Maintenance Facility to accommodate large size aircraft such as B747 & A330 and to handle the B727 'D' Check for Third Parties with the total investment of around 20.0 Million US Dollars. New Catering Building equipped with the latest catering technology with the total cost of 3.0 Million US Dollars. Ground Services upgraded at Sana'a International Airport and other Airports with the total investment of around 15.0 Million US Dollars – 2000-2006. Cargo village at Aden Airport. New Central Computer Facility and its related equipment and technology . New Reservation System for Pax & Cargo and Departure Control System and E-Ticketing tools. The use of PC (personal computer) in day to day work has increased from 1PC/6 Employees to almost 1PC/Employee. Joint Venture in health sector –the Saudi/German Hospital in Sana’a –2001. Yemenia has got EASA (European Aviation Safety Agency) Part-145 approval for aircraft maintenance. 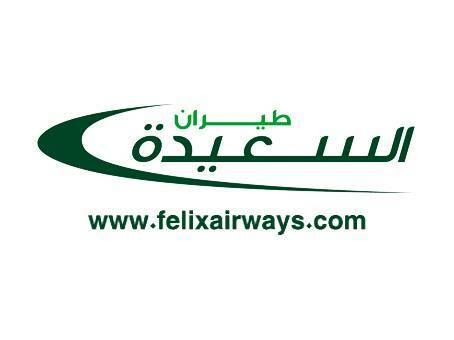 Yemenia has launched its Frequent Flyer Program by Turkish HiTT and is in affiliation with BAFQ Program. Yemenia is a Member of AITC, Aviation Insurance Technical Committee, its members are the Airways of the Gulf and GCC States. Now with a good standing, Yemenia current network covers 26 international destinations and 9 domestic destinations. Yemen Airways operates one of the most modern fleets of any airline in the world. Narrow-body and wide-body aircrafts variants operate a mix of short and medium international routes.